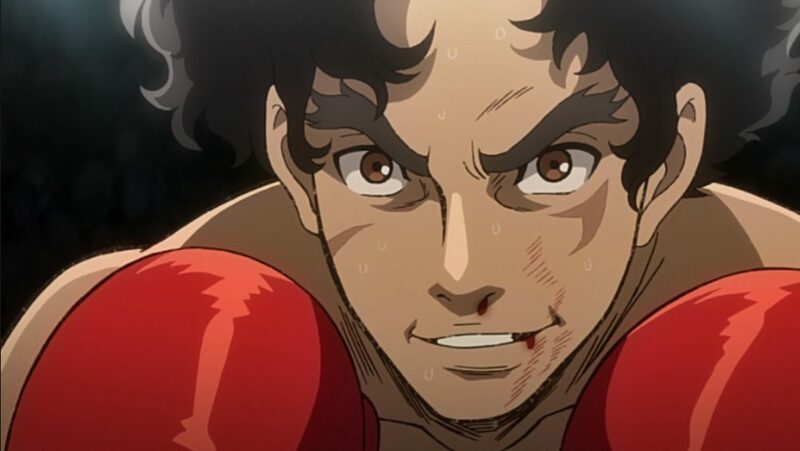 Megalo Box episode 6 was released a few days, I have been waiting for this episode with a lot of excitement. The Araragi versus Joe fight has been hyped for two episodes. At first, we had the cliffhanger from episode 4, and then his past with episode 5. I also think this served as one of the main background story build-ups for Nanbu. Some users that commented on one of the few articles we had said something regarding this background story. I think that the comment ranted about how there is not enough background story. Or, character development at all. And I have to agree with this to a certain degree. 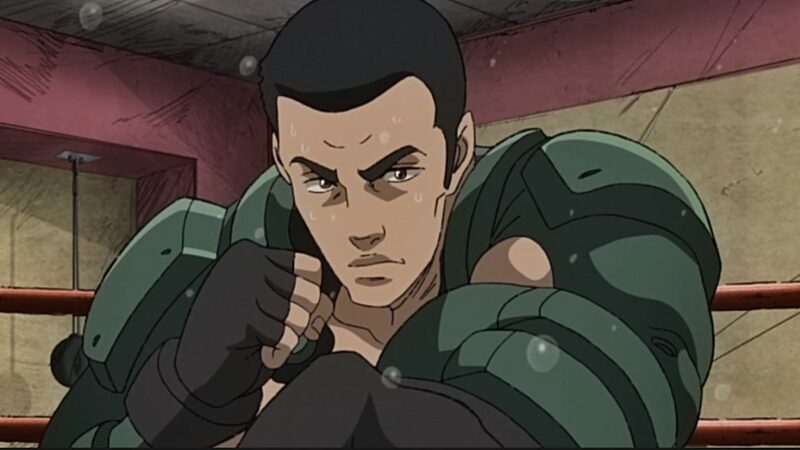 Although, I do believe that Megalo Box does not require complicated character development for Joe. And the fact that Nanbu got it was pretty satisfying. But it makes me still wonder, will Sachiko and Joe get a background story? The episode starts off with a small flashback of Araragi and Nanbus past. Nanbu is shown as a coach, I think that suits well for the story because Megalo Box won’t have a lot of episodes. At least from what I’ve heard. Meaning that most people assumed there will be little to no character development. And there still might be a little. However, I think that Nanbus past is a very good way to make the story better. At first, we saw Nanbu as a gambling addict while using Joe to earn money. When he said that he will coach him, it was a little bit odd for me. But then, I got used to it, even though there was still some questions regarding nanbus past in my head. This background story fills in that missing part very well for me. Once Joe is back up on his feet, and the fight resumes, he fights very badly. The crowd also shouts at him for not fighting like a true man. At this point, Nanbu wants to pull out. He seemed like a true coach at the point, trying to care for his boxer. Even though ti would seem that he chickened out. However, his pull out game was weak, so Joe decided to keep on fighting. For now, Sachiko has been pretty much useless. The only thing he has done is say: “We’re a team, right?” I hope that he will become useful in the upcoming episodes. However, the only way I could explain the reason for him being useful. Is that Joe will at a point, get some gear. After all, Sachiko was supposed to be the gear guy. Joe starts saying the words split it evenly, fifty-fifty. We have seen Aragaki say the same words at the start of the episode. It was during his flashback with Nanbu. And, Nanbu also said something about Joe finally listening to him. It would seem that Joe is now getting the same teachings as Aragaki did. And that he will start using them to win against him. However, how will it work? Aragaki already knows this technique. Although, it could trigger back some memories for him, and make his thoughts clouded. Which is a surprisingly big handicap sometimes for the opponent. After fighting it out with Aragaki, Joe gets beaten pretty badly, but he does not give up. He keeps holding his stance and slowly pushing forward. He deals his first blow to Aragaki and gets a down. After that Aragaki keeps pressing onto him, but Joe still fights back and does not give in. The fight was very good, even though the animation was not as good as in some other. The visuals have been astounding, I gotta say it looked spectacular. Although it seemed Joe would lose at some point, at the other point Aragaki’s legs started kicking in. And he could not hold off any longer. The fight ended pretty well for me. Aragaki lost his legs in the war, and now he has to use robotic ones. They are shown to be at a disadvantage as compared to real legs. So he can’t really keep going in a full fist fight for too long. Joe withstood that like a real boxer would and claimed his victory. After that Nanbu and Aragaki made up. The episode was overall very awesome. It had a highlighted moment, and the reason he won was very well explained. Even though it might seem like plot armor.